Our flavours are tailor made to meet the requirements of our customers and the preferences of consumers. They are perfectly tailored to the tastes of consumers, to our customers’ processes and to regulations in force. In a proactive process, our sales, marketing and R&D teams work together on creative projects to develop ranges, anticipating or adapting to market trends. 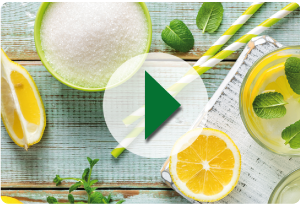 Thanks to our expertise in natural and organic products we can offer a wide range of natural and certified organic flavours for all types of applications. Natural and organic flavours are more than just a trend and now occupy a leading place in our ranges and in our innovations.